One of the many things I can't get enough of when I visited Singapore was its cuisine. Luckily, we don't have to fly over to Singapore just to satisfy our Singaporean food cravings, all thanks to a good number of Singaporean franchises which can now be found in Manila. And while I haven't tried all of them yet, let me share with you the most recent Singaporean restaurant I've been to. It's Boon Tong Kee along Tomas Morato. A few months ago, I was lucky to have been invited to try what this famous Singaporean restaurant has to offer. And of course, as someone in her sane mind, I said yes. Although Boon Tong Kee has many branches all over Singapore, its country of origin, the Philippines is actually the first country to have gotten an international franchise. At the moment, it can be found in 3 locations: SM Mall of Asia, Power Plant Mall and the one I visited, the Tomas Morato branch beside Burgoo and just fronting Il Terrazzo. Shame on me for not getting decent photos of how the place looks like, but this Boon Tong Kee branch sure felt spacious, modern and cozy with clean white walls, and black and gray accents. There are round and even long tables perfect for bigger groups, as well as cushioned banquet seating for those who prefer more comfort and privacy. To start off the meal, we were served with a platter of Crispy Beancurd, along with some complimentary vegetable pickles. 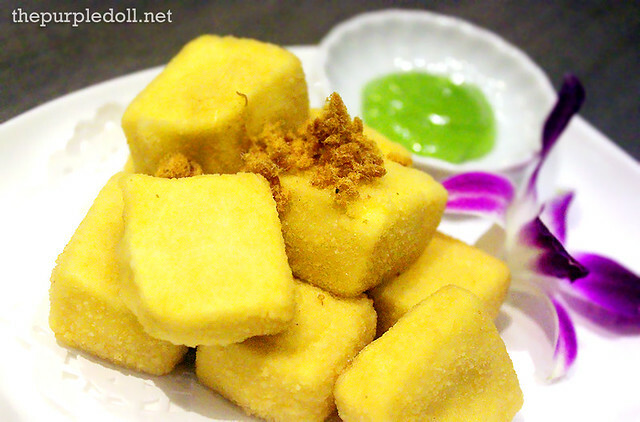 Although I'm not a crazy big fan of tofu, I actually liked this appetizer a lot. Every piece was delicately crisp on the outside and pillowy soft and silky on the inside. It also comes with some pork floss and a wasabi-mayo dip. Next, we had the Prawn Toast which I unfortunately failed to try. 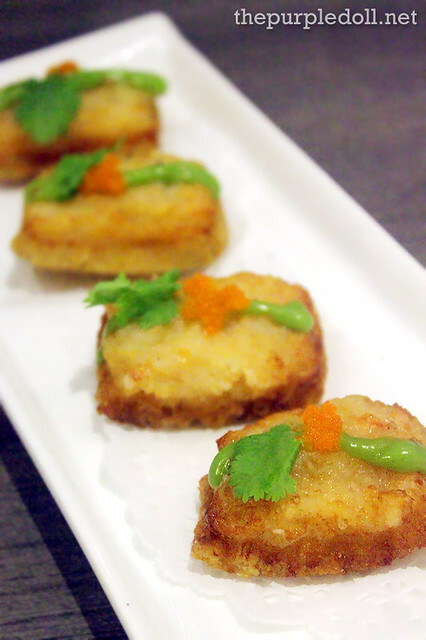 My dinner-mates seemed pleased with this minced shrimp-topped toast of an appetizer though. What I got to try and really enjoyed next was the Braised Pork Belly. 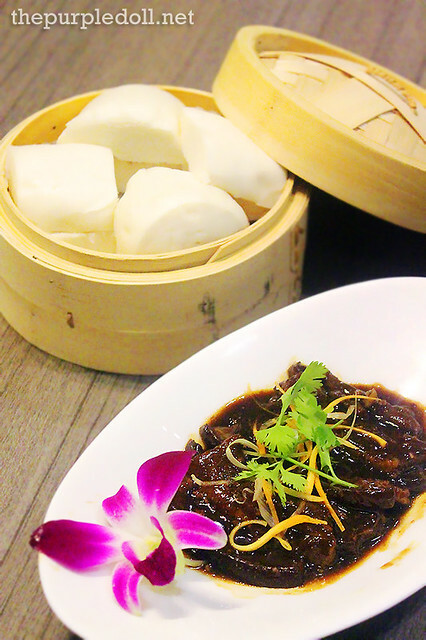 It's tender and very meaty with a sweet and savory sauce that perfectly complements the white steamed buns. Being a big spinach and egg lover, this serving of Poached Chinese Spinach with Assorted Eggs was definitely right up my alley. 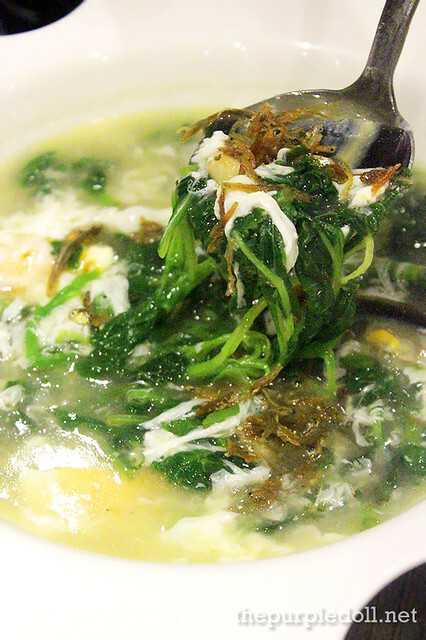 Every bowl has generous amount beautifully poached Chinese spinach along with duck, chicken and century eggs, and some crispy dilis. Every spoonful is mild and comforting, perfect for a rainy day. 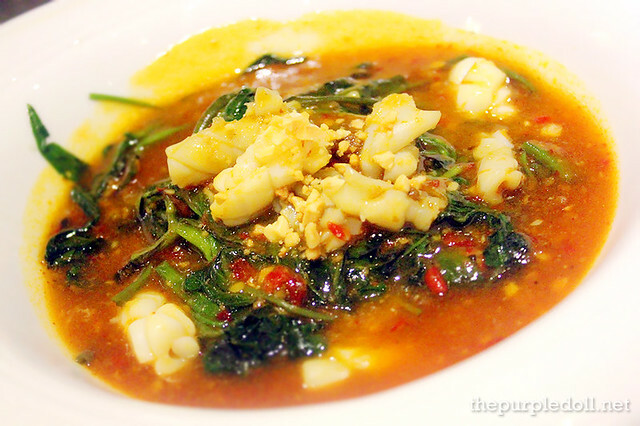 Transitioning to the main course, we had the Fried Sambal Kangkong with Squid. I like anything with sambal, but I found this dish a little lacking in the spice department. 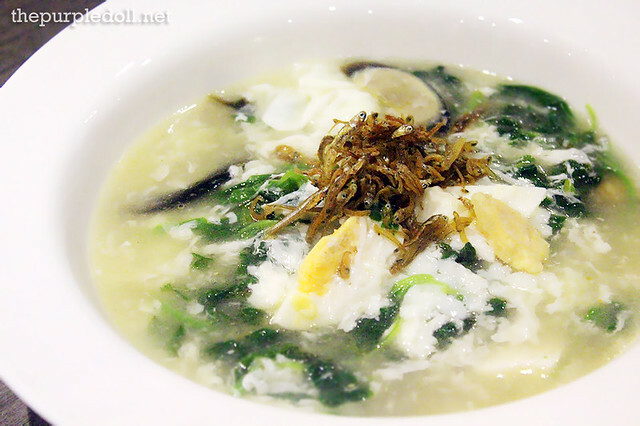 The kangkong was still enjoyable though, and more so with the perfectly-cooked squid. 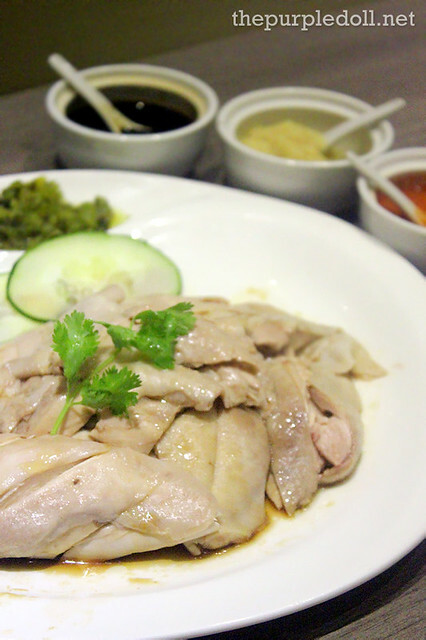 Then came my most-awaited part, the Hainanese Chicken Rice. 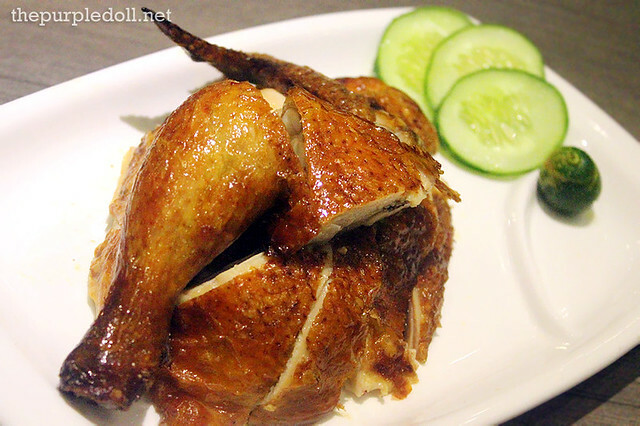 Unlike most I've had before though, Boon Tong Kee doesn't offer their chicken rice bundled with the chicken itself. It was a bummer to know at first, but upon a mouthful, I somehow understood why. It was really, really good, and interestingly shaped to a pyramid too! The chicken on the other hand, is tender, moist and flavorful. It's masterfully served cold, and best eaten with its accompanying condiments -- dark soy sauce, ginger and chilli sauce. There's also a roasted version which I prefer a tad more. True to its name, the sweet soy-glazed skin of this roasted chicken is indeed crispy, in a delicate manner. And when you bite into it, you get a moist and tender chicken meat oozing with lots of flavor. It was my first time to see a serving of Crispy Cereal Prawn with cereals that look more like floss. Don't be fooled though as these strings are made of oat flour and taste sweet with a hint of spice. Some of my dinner-mates even swear that this is the best they've had in Manila! As for me, I'd say I love it too, but I didn't find it as addicting as my favorite. 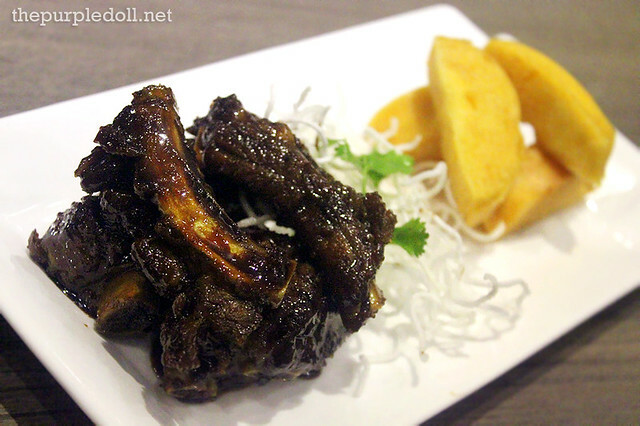 We also got to try the Fried Spare Ribs with Zhen Jiang Sauce. Despite the foreign-sounding name of the sauce, it's quite reminiscent of American ribs -- sweet, savory and sticky. The sauce coats every piece of the tender spare ribs, making every bite enjoyable. It's also served with some fried bun slices which I liked eating on their own. I'm a fan of coffee, so I was excited with the Coffee Pork Ribs which unfortunately didn't meet my expectations. The pork itself was quite tender. However, the coffee sauce tasted a little burnt, so every bite was a medley of sweet notes with a bitter aftertaste. 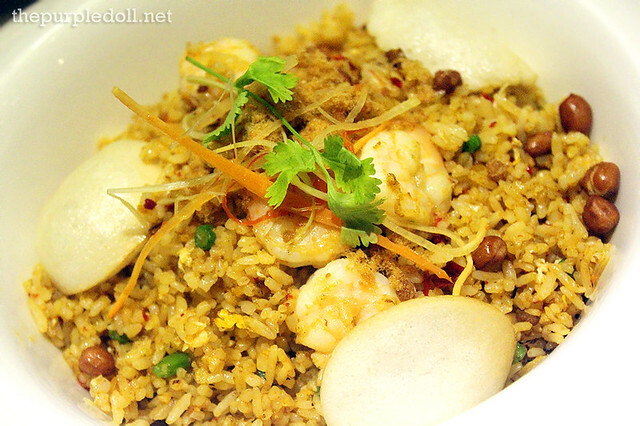 I love sambal-infused dishes, so I was really expecting a lot from the Sambal Fried Rice. Infused with pieces of shrimp, peanuts, peas and even some pork floss, the fried rice in sambal sauce is definitely a meal in itself. For some reason though, I didn't quite like eating it on its own. I found it tastes better when eaten with sweet-sauced viands like the Fried Spare Ribs with Zhen Jiang Sauce or even the Coffee Pork Ribs. 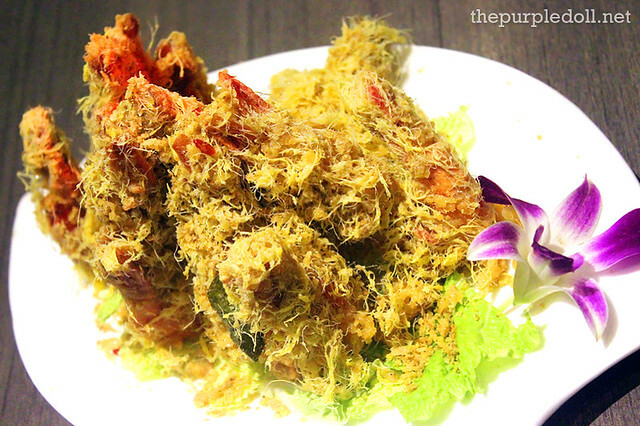 Everything we had was already a treat for the palate, but we were still in for some more exciting dishes as we got to try the newest items at Boon Tong Kee. The cold Barley drink isn't exactly new, but it was my choice of beverage for the night. What was new though was the Cream Cheese Prawn with Bun. 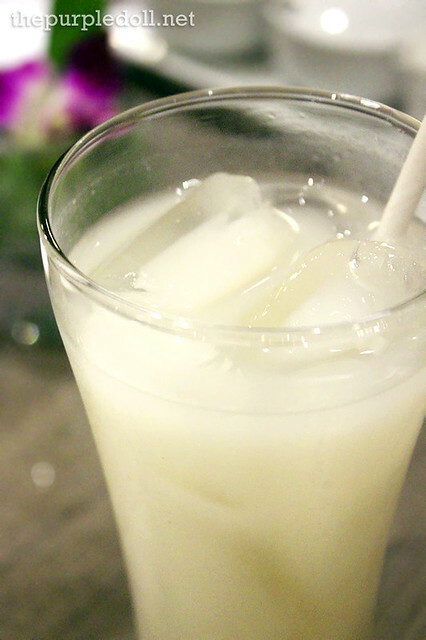 With how its name sounds, I'm sure you'd be expecting to taste the creamy yet tangy cream cheese. However, these big pieces of prawns are actually coated with creamy cheese sauce kissed with a hint of spice. I assure you though that these are really good. 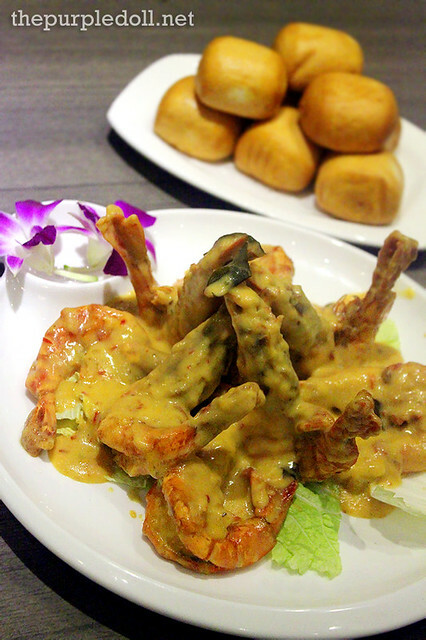 The prawns are juicy and cooked perfectly, and the cheese sauce is very enjoyable. Too enjoyable that you'll probably need to order for extra fried buns just to finish the cheese sauce off. 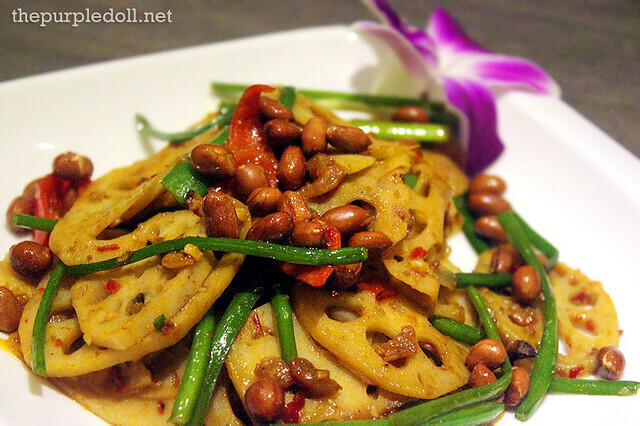 Call me weird, but I still think the Stir-Fried Lotus with Sambal was the best dish I've had for that night! The sambal had the perfect salty and spicy flavors that went beautifully with the thinly-sliced then stir-fried lotus root. The flavors really complimented the enjoyably crunchy root slices that made this dish very addicting, at least for me. I can proudly say my visits to Boon Tong Kee wouldn't be complete without ordering this! I'm a fan of light desserts, and these two definitely fit the bill. The Mango Taho was soft, smooth and jiggly. 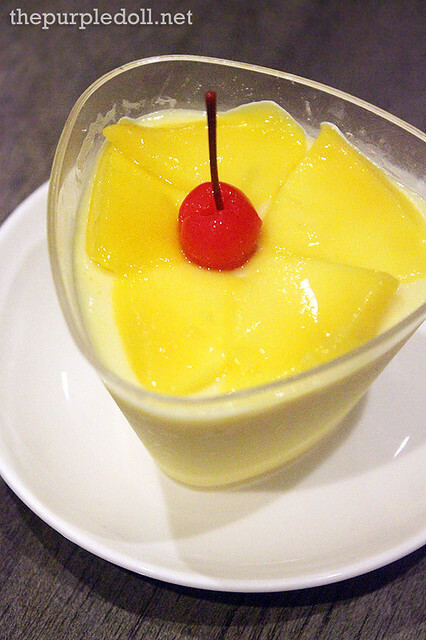 Every spoonful was light, and it was like a mango pudding done right. Even the mango slices on top were sweet. The Sago Gula-Melaka with Vanilla Cream on the other hand, was more sinful but worth every calorie. 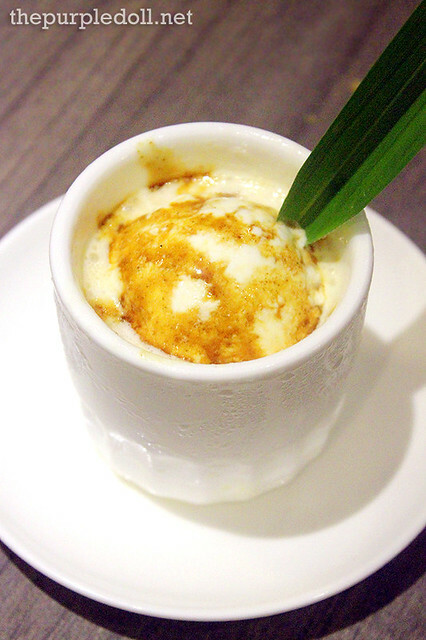 The blend of ice cream and palm sugar syrup was already enjoyable, but make sure to dig for the sago at the bottom. While I don't necessarily have my Singaporean food craving kicking in too often, it's nice to know that there's another Singaporean restaurant ready to give us our much-needed fix. After this trip, I've promised to go back to Boon Tong Kee again and again for the food gems I discovered. (Yup, it's the Cream Cheese Prawn with Bun and the addicting Stir-Fried Lotus with Sambal alright!) While prices are not really "too" affordable, I can say it's pretty reasonable. Most of the dishes we had were good, and service is prompt and courteous too. So Boon Tong Kee, see you again soon! I've only tried the MOA branch and I liked it, I ordered a lot of the same food you had. I wonder if the Morato branch will have the same taste... I've been getting mixed feedback. Thanks! I haven't tried Boon Tong Kee in MOA yet, but I'll update this post when I do, just to compare if food tastes the same on both branches. :) So far, I've been to the Tomas Morato branch twice, and taste was pretty consistent. Their chicken rice looks so pale, or I just got use to see it more yellowish. 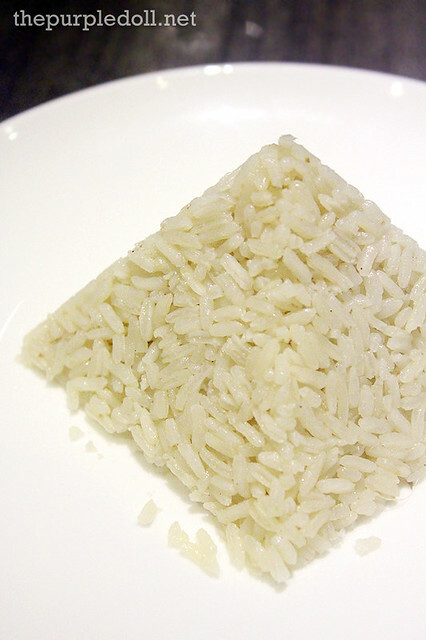 If you love Chicken Rice, then I guess you have already heard Tian Tian Chicken Rice in Singapore. 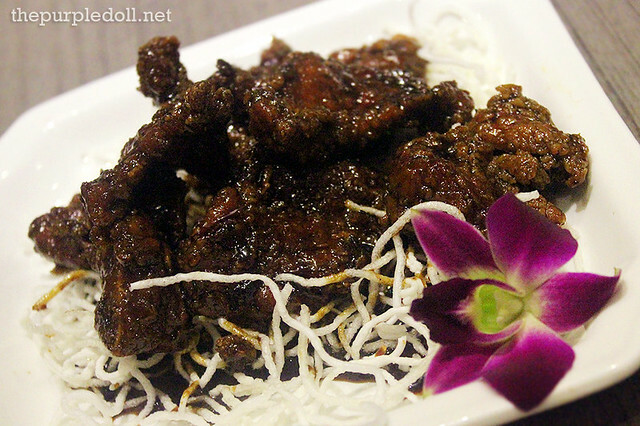 i wanna try the coffee pork ribs,yummy!